Yesterday I finished INFRA, a game about urban exploration. 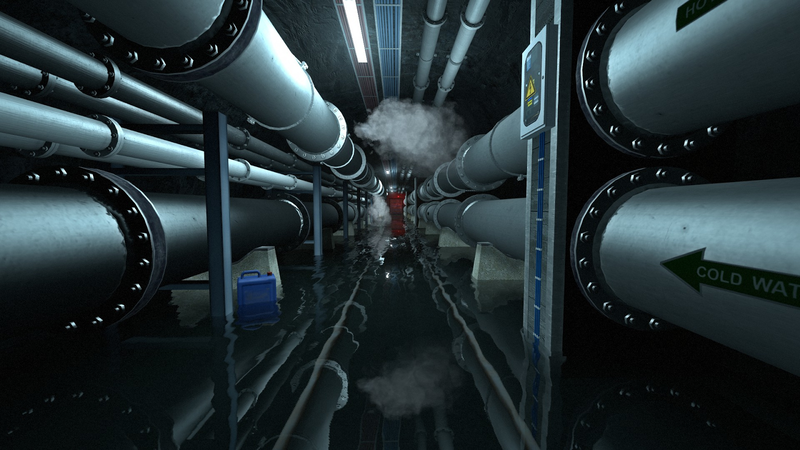 I'll start this bluntly: INFRA got on my "favorite games of all time" -list. It's just that good. Here are my thoughts about it and I'm sorry that they're spread a bit everywhere. I'm influenced by whisky as I'm writing this, lol. 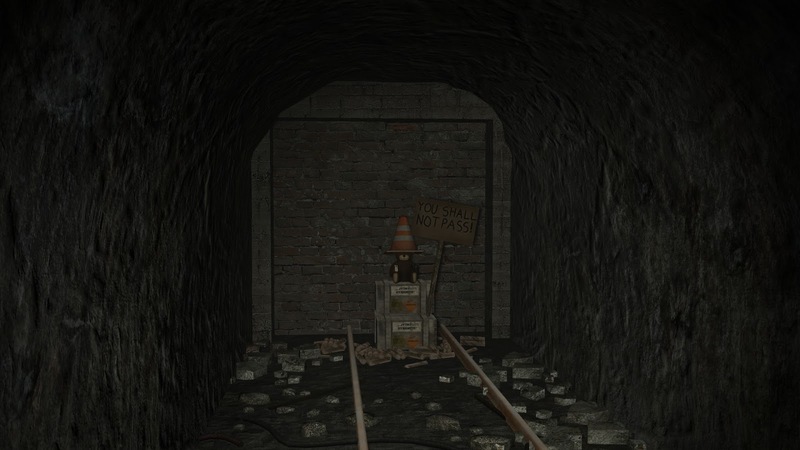 In INFRA, you play as a guy called Mark, who is some sort of building inspector at Stalhburg City. You know, inspecting the state of buildings, infrastructure, all that. Sounds rather.. Boring, right? Wrong! The game starts from Mark's workplace, where you are in a meeting. Your workmates talk about some stuff, and you get an assignment to inspect a dam. At this point, you get some time to freeroam around your workplace, looking for things and so on. It's a good place to get the feeling for the game and learn the controls. Eventually you arrive at the dam and you get some further directions. Then, it's up to you to find your way to the objective. Near the dam. The game is really beautiful. I have to apologize for the quality of my screenshots. I was so immersed in the game I forgot to take them in the most interesting sections. Some of the screenshots are from the Loiste Interactive press kit. 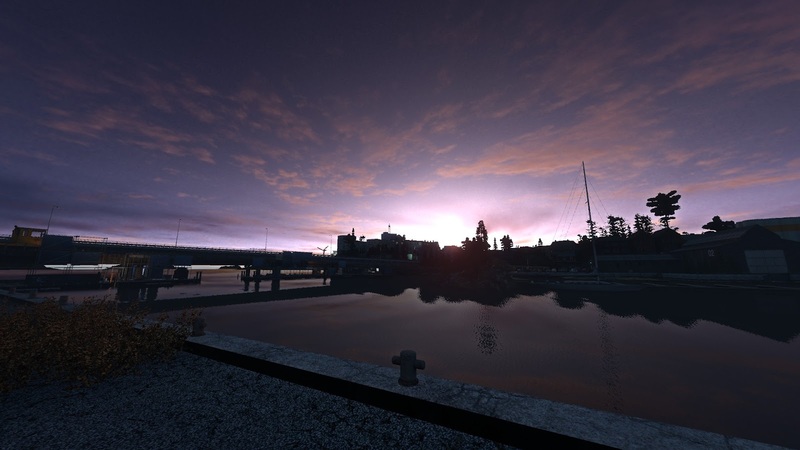 The game is completely non-violent and based purely on exploration. This means that your only items you have with you are camera and a flashlight. You use your camera to take pictures of things that are wrong, like broken stairways, walls, collapsed bridges, etc. Unfortunately for you, both your flashlight and camera drain batteries like a drunk Finn drinks beer, so you have to constantly keep looking for beer- eh, I mean, batteries. Mark even comments on that at some point. You also find some temporary items to carry to get through places like keys for doors, etc. BEER. You'll be seeing it a lot. 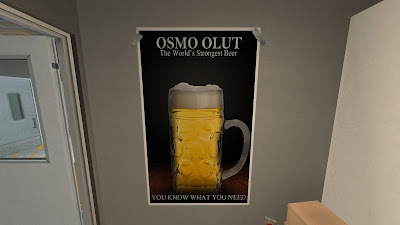 Speaking of beer, it's everywhere in this game. And I'm not even surprised, the game is made by Finnish people. Many places have saunas and other things related to Finnish culture. 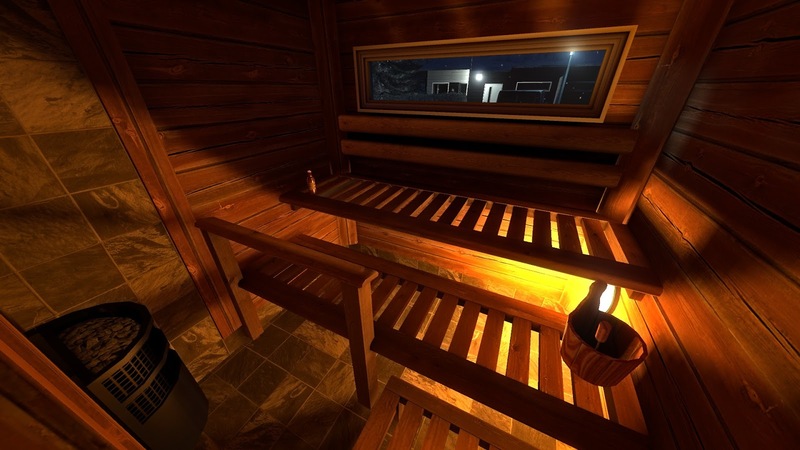 Even the environments are very Finnish looking. However, the game doesn't seem to be placed in Finland, but I'm not really sure about that. It really does make me feel right at home and everything, to me, makes sense. I wonder how someone who isn't Finnish perceives this games look and environment. It's a Finnish game alright. The story of the game evolves when you play, but you have to keep a keen eye on things: You may miss key things regarding the story if you don't explore every nook and cranny. Most of the most important story elements are placed on your path so it's hard to miss them, but if you want to know more, you'll have to dig deeper. I don't want to spoil the story at all, other than there's a lot of corruption going on and lot's of mystery around it. I love this kind of storytelling, you have to put the pieces together yourself. Also, the NPC's don't tell you the story, it's the environment that talks to you. Notes, voice recordings, journals.. Even graffitis on walls. You'll have to climb up there. See what I mean by hazardous? Now, about the gameplay. Like I earlier mentioned, it's completely non-violent game. There aren't enemies to chase you. But, there is one enemy: The hazardous environment. 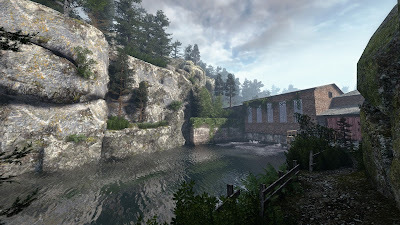 Lots of collapsed things, floors breaking, tight spaces, high falls, mushrooms (yep), explosions, things running over you.. In short, many hazards. Thus the game isn't really a horror game, but the enviroments can be terrifying. I love the fact that I can take my time and explore the place without being chased by some mutation. While you're sliding down sewer pipes or riding a raft in an underground cavern, you'll have to take photos. It's actually important and affects the end of the game, or at least that's how it felt like to me. There are few different endings. 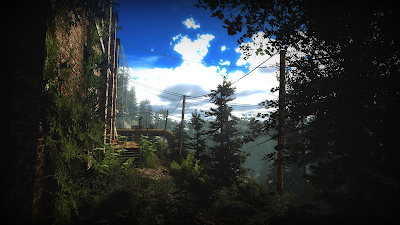 The environments change a lot during the gameplay. At first you may be outside, then you end up in a water treatment plant. From there, you end up a cave, that leads to a metro station that leads to a bunker and.. Suddenly you're in suburban neighborhood inside a garage next to a biker bar. Even if the environment changes around a lot, it never feels unnatural. The flow between the levels is absolutely amazing and believable. Everything feels just.. Right. You may ask first "Oh how did I get in here" but then you get that "Oh.. It makes sense why I'm here." Between exploring, there's also a lot of puzzles. 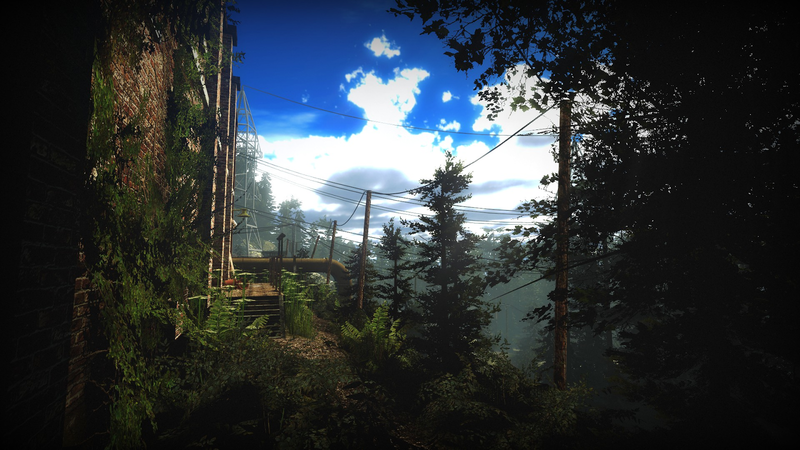 These puzzles can be very simple or very difficult, which depends on which kind of environment you're exploring. For example, some simple puzzles are "how to get on the other side of this pool of electrified water with couple boxes" and the more advanced are "how to fix a water treatment plant." 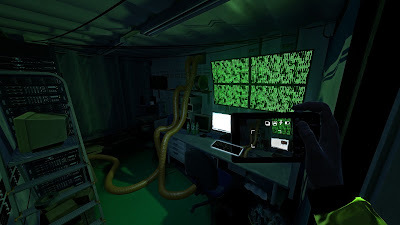 None of these puzzles are explained straight (except at few points where an NPC helps you over radio/phone), you first have to find the puzzle, then work on it. However, none of the puzzles were overly hard, some just needed more trial and error: Hard enough to piss you off just right amount, that you keep trying. If I can get through these puzzles, you can too. If you get truly stuck, the Steam community forums for this game have been really helpful. Even the developers give hints for people on those forums. There's a lot of valve's to open/close and steam to avoid. The atmosphere in these environments is very immersive. 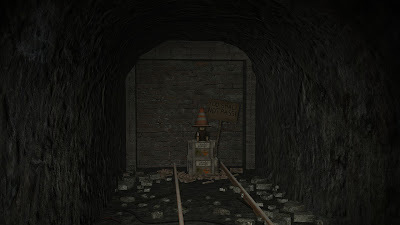 You can almost smell the stuffy smell of the underground tunnels, feel the dangers of an unused industrial complex with a lot of rusted machinery, feel the wind breezing through broken windows.. It's hard to explain, it's something you just have to experience. The soundscape of this game is amazing as well, the ambient noises just enhance everything you see and add to the immersion. The music is really well done too, even you don't hear it much, mostly just at the beginning of a level. For the dungeon dwellers, there's a lot of this. 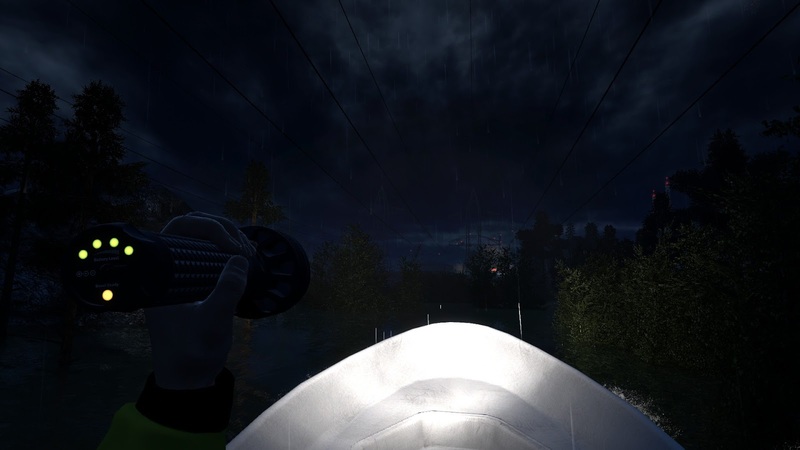 Someone may wonder if this game is just a simple "walking simulator." I'd say hell no. The puzzles, the environments and all that are engaging and interactive, so you're not just walking through everything. Think about Mirror's Edge, but instead of Faith you have 40 year old slightly alcoholic Mark with snarky attitude. Oh and you get to ride things too, and even pilot a tiny boat! Too bad I don't have my fishing gear with me. Now why am I thinking it's one of the best games I've ever played? It surprised me in every way! 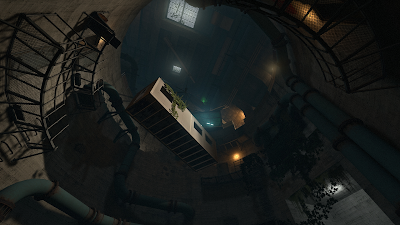 I was expecting some simple exploration game with urban exploration theme. But no, the game was actual urban exploration experience! I was so immersed in the game, I played it in multiple 3-4h sessions, finishing it completely in around 20 hours. I just couldn't stop! On top of the exploration, the mystery story begged me to solve it. 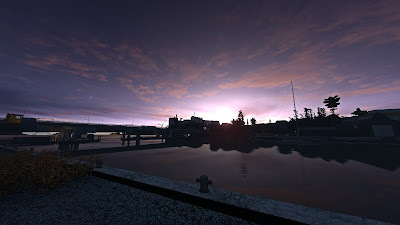 I love mysteries and secrets in video games and INFRA delivered. Last but not least, the easter eggs. None of the environments were boring, because if there was some place that looked a bit boring but you went further, you could find some funny easter egg. Some of them were very Finnish culture related though, so if you're not Finnish you may miss out on some. But the main thing what makes me like this game so much is that you can truly feel the love and passion the developers have for this game. I appreciate that so much and it's something crucial some games miss these days. 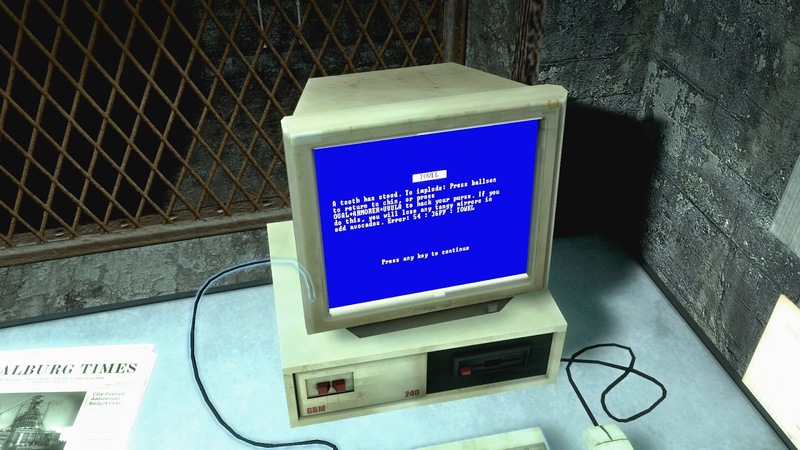 Good ol' BSOD- Er, I mean, TOWEL error. If I have to mention some negative things, it's that the game crashed sometimes during loading screens and the NPC animations are a bit.. Stiff. There aren't many NPC's around in the game however so it makes sense they didn't really concentrate on them. This game is only 22€. Full price. On sale even less. However, it's worthy of every damn cent I paid for it, and even after 20h I still was left for an incentive to replay the whole game: Hunt achievements, solve the mystery completely and see the other endings. 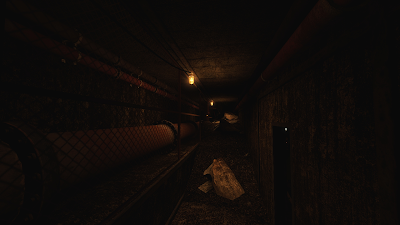 So if you have any interested in urban exploration and dislike horror, this game is made for you. Get it. You won't regret it. I applaud you Loiste Interactive. I hope to make something as good as you have done, and can't wait to see what's next.